Available now - and in stock. 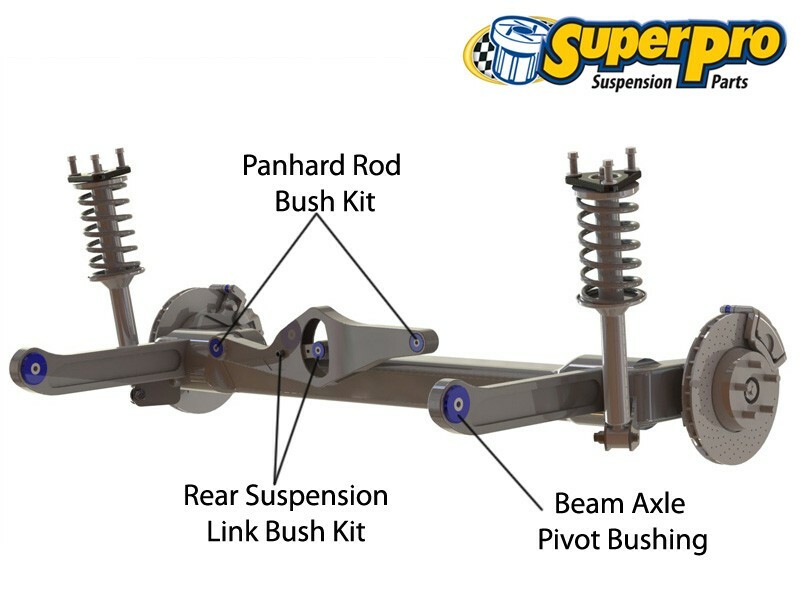 Full B15 Rear Suspension SuperPro Bushing Kit. Nearly all B15s on the road today have excessively worn rear bushings which lead to a sloppy feel and poor handling. Upgrade your bushings with the only complete kit on the market. The specially blended Polyurethane used in SuperPro products has specific mechanical properties that make it extremely successful in its applications. The combined properties of extreme resistance to abrasion, low compression set, high tear strength, and a resistance to oils and solvents. This makes SuperPro ideal for most automotive applications, primarily because of the material's tendency to lead to a resilient product that is highly versatile in its various applications.